Red Jamis bike with pin head locks on tires. Has blue and white on frame and Jamis is written in red on frame. 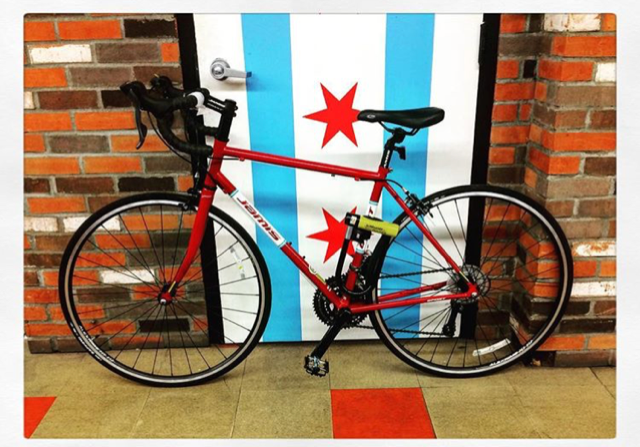 I work at the OSW building and park my bike outside the civic opera house on their bike racks. My bike was parked around 10 am and when I left the building at 7 pm it was gone. There was no sign of a lock being broken.